So I'm working in Construct 2 to make my entry for the jam. i set my window size to be 64x64 ,but when i play the game it scales out like you see in the image. I feel like it's too large for this. my sprites are around 4x4 give or take. 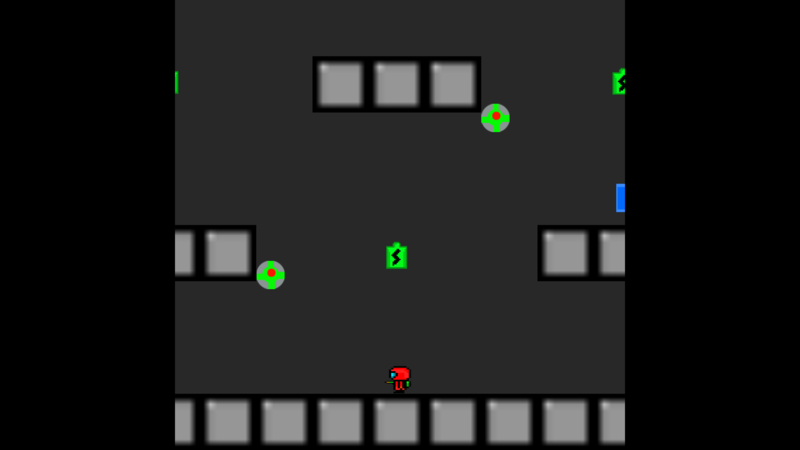 The environment (Walls, Platforms, and etc) are 8x8. Obviously the art isn't anywhere near final. I intend to make a fuller version of this after the jam which could potentially be my next release after my current main title Bit Bot. But, back to size. Is this okay ,or am i doing something wrong? My soon to be released game that is up for pre-order on itcho.io isn't horror ,but i think you may find it interesting. Get in touch with me so we can discuss working together to get some coverage on the game leading up to its 5.5.16 release date. itch.io Community » General » General Discussion · Created a new topic How does itch.io's pre-order model work?